RAID 0 stores the data between two or more disks. With this raid level win in speed of read/write, but if one of the disks fails the data will be lose. 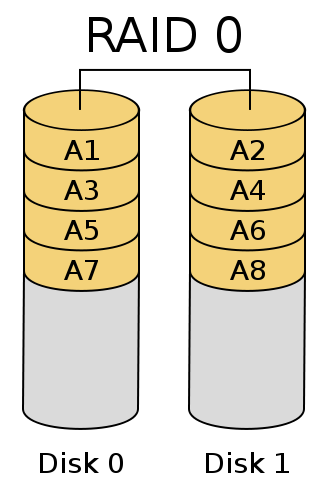 RAID 1 or mirror stores a copy of a disk in one or more disks, with this way if one disk fail, the other disks can replace the failed disk. The RAID 4 we have to user a minimum of three disks. 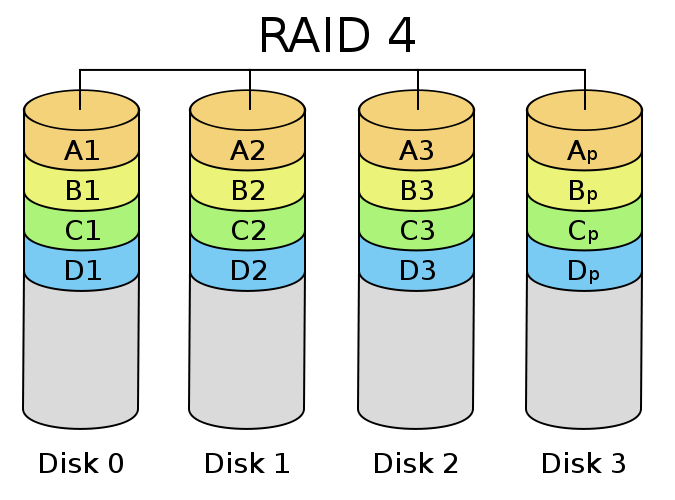 This raid level keep the advantage of raid 0 and raid 1, storing the data between the different disks but using a dedicated disk to parity (control errors) to restore the data if one of the disks fails. RAID 5 it’s the same that RAID 4, but the parity it’s stored between the different disks. For RAID 4 or 5 the size of device will be (Number of disks -1). 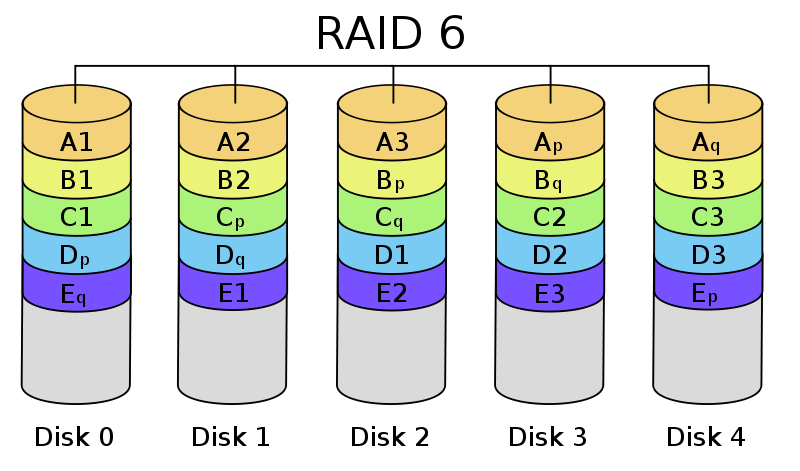 The minimum of disks used for RAID 6 is 4. In RAID 4 or 5 if two disks fails we have lost the stored data. With RAID 6 increase the amount of parity data between disks. The size will be (Number of disks – 2). 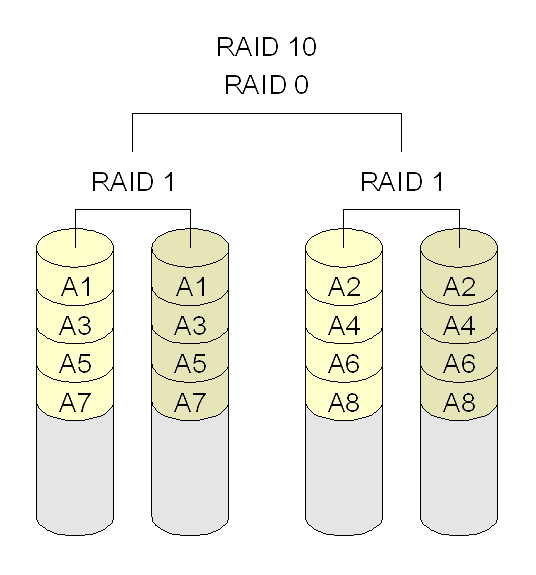 RAID 1+0 is a combination of raid 0 with raid 1. The minimum number of disks used is 4. Thank you for the suggestion!! You have reason about it. I usually read the file /proc/mdstat to monitor the raid device status or the command line mdadm with the options –query –detail. I think I’ll write in other post about other tools to monitor the performance of RAID devices and other disk features. Congratulations tutorial. Perfect! I searched the whole internet to find something like that and I ended up finding something better. Thank you. Parabéns pelo tutorial. Perfeito! Procurei a internet toda para encontrar algo parecido e acabei encontrando algo melhor. Muito obrigado.